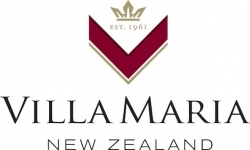 Villa Maria is New Zealand’s Most Awarded winery, 100% family-owned and named fourth Most Admired Wine Brand and first in New Zealand by Drinks International for the last four consecutive years (2015 - 2018). At Villa Maria we are just as passionate about our people as we are about producing quality wine and we are excited to announce a new opening in our Auckland based team. Our state-of-the-art Auckland winery is unique, offering our employees the opportunity to work with premium fruit sourced onsite from our Auckland Vineyards, as well as receival and processing of wine from Villa Maria Wineries in Hawkes Bay and Marlborough. We have one full-time, permanent and one full-time, fixed-term Cellar Hand positions available. Reporting to the Cellar Manager, you will be working with a small team of highly motivated people who are committed both to the wine industry and the pursuit of excellence. As a Cellar Hand, you will receive training in all aspects of the winemaking process and will be required to operate all types of winery equipment, from vintage to bottling. We are seeking individuals with good mechanical aptitude, experience in the wine industry or an interest in wine. This role is highly physical, so would suit fit and healthy applicants. If you are looking for a position that offers training, responsibility and job satisfaction within an award-winning business, apply now!